Pinholes, minor edge wear bottom border, additional fold where top blank area was folded over. 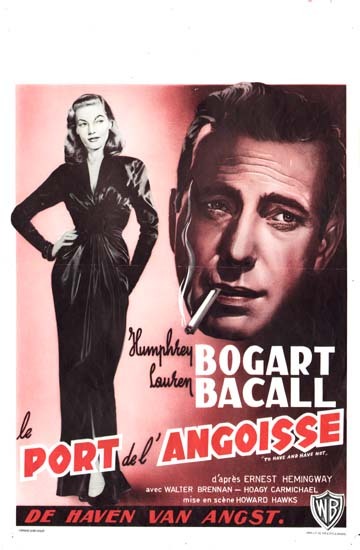 Solid gold classic marking the first meeting of Bogart and Bacall. An archetypal noir design showing slinky femme fatale while hard-bitten hero smokes cigarette in half-shadow.